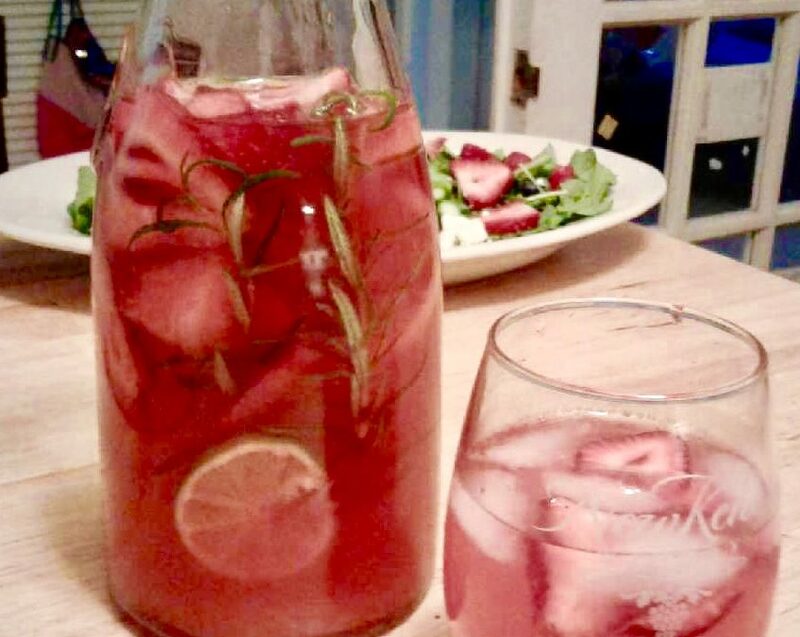 The name is a mouthful, but this concoction devised with the help of an 8 year old CSA family member is a refreshing drink for any hot afternoon. You can mix up the berries, change up the herbs, or make it with only lemon or lime. It's easy and infinitely customizable. In a small saucepan, bring the water to a boil. Add agave, 1 sprig of rosemary, and roughly half of the strawberries and reduce heat to medium. Simmer until the agave has dissolved completely and the berries begin to break down, about 5 minutes. Remove from heat and set aside to cool. Add remaining strawberries, rosemary, blueberries, and lemon and lime slices to a 1 quart pitcher. Pour in the citrus juice. Strain the solids out of the agave mixture and pour into the pitcher. Add ice cubes and fill the pitcher with water. Refrigerate for at least an hour before serving to allow flavors to infuse.